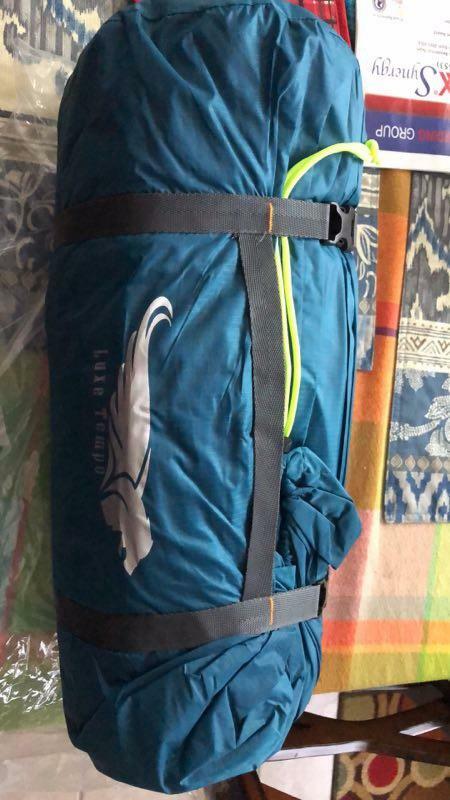 If you are looking for a family tent with light weight and a small pack size, you will find the 4 person backpacking tent from Luxe Tempo is a great choice at an attracting price. The lightweight aluminum frame is unbreakable. 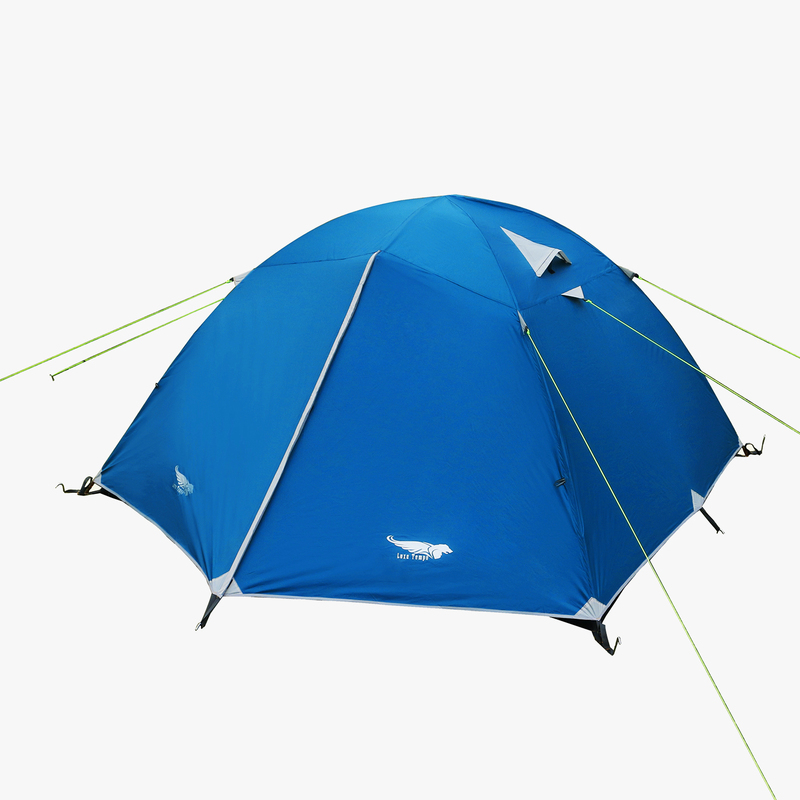 The inner tent made of breathable polyester ensures adequate ventilation,No see-um-mesh protects against mosquitoes and other insects. We just returned from a camping trip . We went camping for the weekend and wanted to get a tent to save money versus staying in a cabin. The delivery was timely , we got this one timely and are satisfied with it . It was easy to put up . We did it in no time . It fited for 4 person and it stayed dry during a pretty severe thunderstorm this past weekend in San Diego . It was very spacious for two persons . I put a queen matteress on one side with space still on the side of the bed . Overall , I was happy with this tent . Very nice tent. The inner tent gives a lot of ventilation and the outer tent keeps it dry inside. Some more space in the vestibule would be fine. Now inside is space for 4 persons without luggage. With luggage or can have 3 persons. 4 people could get in and out without crawling over others,even though it was a snug fit for 4 adults.As for weather resilience,it was awesome.Survived flooded terrain and withstood winds with ease.And we’ve never had a problem of condensation.No complaints during our first trip. Our family camp a lot in the wilderness and have bought a few tents over the years so I speak with some experience. Being sturdy and light for the size,this was the first tent the whole family decided to go backpacking with.Plenty of tie outs,lots of mesh,super convenient doors and full length rainfly,it just made the whole trip.The pole which concerned others didn’t bother us,actually it kept the fly to a distance that the rain would not fall on the tent floor when we got in and out of the tent. The packed size fits the bill perfectly for a family river trip with a kayak. Doors are very convenient that everyone managed to get into it without crawling over the others, it is a particularly useful feature for camping with kids. 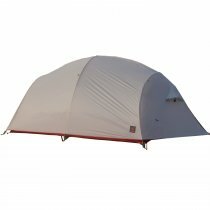 The tent also works great in gusts, the fly is made from high-quality material and is strong enough to keep out the blowing rain. It's wonderful for 4 adults to stay in the tent, although there is not enough height to stand-up, the sitting room is OK.
Super sturdy dome. Roomy enough for a couple with 2 kids but fairly lightweight and easy to install. 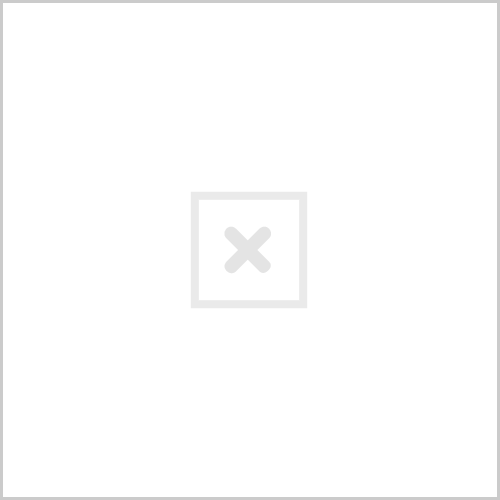 Has been solid in ridge wind. We thought it was ging to loose form when the strong gusts pressed it from side to side,but they bounced back and held up really well. We never had a problem with condensation or zipper snagging. So the quality was evident. For a 4 person tent,it was worth the price. I’ve been looking for great and reliable budget equipment and this is like a steal of a deal.Second to none of my backpacking tents in this price range. rain cover.The doors were so wide that we didn’t need to crawl or roll over others to get in and out and it was really nice .But it was a tight fit for 4 adults,without a lot of room for moving around.Clothes was stored at the foot but all our bags and cooking kit were kept in the vestibule.If you do car camping you really want to buy a larger tent with separate rooms for more space. True test....set up in snow storm in Mt. St. Helens....4 of us and one small dog, tons of room. Great ventilation....negatives were the chicken tooth zippers are clogged up by ice and snow too easily, plus the pockets in the 4 corners are angled in such a way that things fall out way to easily....an easy fix for the tent makers if they got to it! Still, a great 3 season tent for 4.....it handled 3 inches of fresh snow very well, so it gets another 1/2 season rating from me! Light tents and small packaging volume, ideal for small families! Now the whole family is still traveling with this tent and I am super satisfied! The structure is self-explanatory and stable. It provides a good sleeping space for 2 adults and 2 children. Very good design, I believe that even if it rains, it will remain dry, like this product. Just come back from a multi-day family backpacking trip, we had mostly sunshine but also a lot of wind with about 3 hours of continuous rain. The tent was completely waterproof and withstood winds. Materials are robust and workmanship is clean. The doors ensure that we don’t have to climb over others to enter the tent. About size, a lot of space for 3 with gear, might be too small to sleep 4 adults. All in all, price performance is unbeatable ! This is Truly a Great Tent in terms of Material, Construction and Space!! I spent LOTS of time doing my HW- searching for a tent that's worthy of a three season tent (and it looks like it can handle a good amount of snow too,) budget friendly (other tents I looked at go for at least double or tripple the $ with even lower quality and protection), fitting at least 4 people (will fit 5 people if they're Petite and Short like our family- 4 across and 1 by the heads :))! Having a great weight-to-size ratio (not comparing to the ULTRALight snobby tents), providing 2 big vestibules and doors. And appealing in color! Looks like a lot to ask for but this tent Rocks in all those aspects! The bathtube floor is relatively thick but still light weight, but I think I'll try to use a footprint or beach blanket to prolong its life. Note a PROBLEM and Easy FIX : like some other reviews mentioned, the metal ends of the short pole providing head width space at the middle top of the tent will extend and poke into the rainfly zippers, which might cause some abrasion and leakage down the road. To remedy this, I ended up untied the shock chords and grinded away at least 5 inches (2.5in each end), and Voila!!! The great thing about this cutaway is that it RELEASES a good amount of tension that the mosquito net tabs were having to stretch out and cling to. Now the pole only extends before the rainfly zipper starts (at the T to be precised- where they should be). I also use the teeny tiny fabric on the outside grommets as a little cushion for the pole. As a result, the pole ends are free of mating ! :)). You can definitely remedy it by doing the cutaway then slide them into some homemade pockets for extra protection, or bandage them up, or just do nothing after the cut and the pole would still hardly touches anything!! Other Consideration: I thought of buying a MoutainSmith Cottonwood 6P tent because of its larger size. Larger also means heavier. But after receiving this Luxe Tempo, I am convinced that I don't need to carry more extra weight than needed to. This tent is sturdy and pretty enough to be a house on the prairie for us! Happy Adventures!